Starting a direct primary care clinic is hard. Making a direct primary care salary is even harder, but there are things doctors can do to predict revenue, cut expenses, and get their clinic past the break-even point. In Episode 17, Dr Roussel interviews Dr Joseph Sheppard about how to get to the break-even point with a DPC practice. While economic conditions vary from one community to the next, Dr Sheppard notes, sound business practices stay the same. While DPC physicians may need to bridge the gap via moonlighting between opening their clinic and reaching the point of taking home a direct primary care salary, DPC can be financially sustainable in many places with the right business plan. [2:07] How long have you been in direct primary care? [2:51] How can a doctor go about predicting a revenue stream for their direct primary care practice? [4:08] How can a doctor predict first-year growth when they’re opening the first direct primary care clinic in their community? [6:24] How can a doctor increase revenue outside of DPC membership fees? [10:21] What’s a good starting point for what a doctor should budget for? What are the essentials and what can wait? [12:00] What about advertising? How should a doctor budget for that? [13:49] What are some things we absolutely should not cut from our budgets (location, rent, staff)? [15:37] What should doctors starting a DPC practice expect their minimum overhead to be? [16:50] What’s a reasonable expectation of when to start making a salary for direct primary care practice? 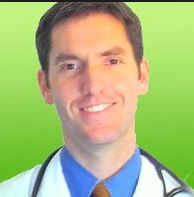 Dr. Joseph Sheppard: Dr. Shepherd works with the Free Market Physician in Neosho Missouri. He has spoken at the Direct Primary Care Summit in Kansas City on the financial realities of DPC. He graduated his residency in 2014 and opened his clinic right after he graduated.